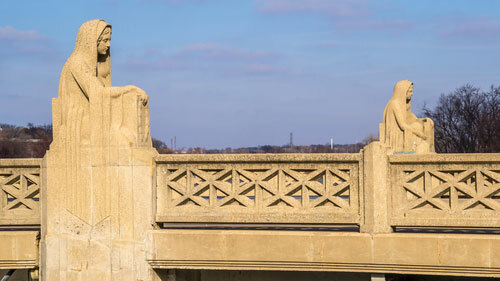 As the second largest city in the State of Illinois, Aurora is also home to numerous manufacturers and has a strong connection to the transportation industry. Whenever one of Aurora’s many workers is harmed on the job, our Aurora workers' compensation attorneys are there to represent their needs and interests. We work to ensure they receive every bit of compensation they deserve to meet the cost of their medical treatment and out of pocket expenses throughout their physical recoveries. To find out why we are one of the most trusted and awarded personal injury firms in the area, contact us to arrange a consultation. If you or a family member was injured on the job and are in need of an Aurora workers compensation lawyer, contact Rosenfeld Injury Lawyers LLC today for a free consultation. Most of Chicago’s suburbs have histories of deep involvement in manufacturing at some point and Aurora is no different. It has played host to notable companies that include Lyon Workspace Products, the Chicago Corset Company, the Aurora Brewing Company, Stephens-Adamson Company, the Aurora Silverplate Manufacturing Company, Barber-Greene, Allsteel Metals, Western Wheeled Scraper Works and Caterpillar. Most notable, however, has been the city’s long-established connection with the railroad industry. The Chicago Burlington and Quincy Railroad was headquartered in Aurora and later became the Burlington Northern. To this day, Aurora still has extensive ties to manufacturing and transportation. It is home to numerous logistics companies that coordinate the shipment of freight through the area through warehouse and distribution centers. Caterpillar still employs over 2,500 workers at its Aurora facility and Kraft Foods owns an 850,000 square foot facility for the distribution of dry food products at the Prime Aurora Business Park. Other notable employers include Nissan North America— which operates a distribution center at the Meridian Business Park— and Luse Companies. Luse Companies is a large manufacturer of insulation and asbestos products. Our Aurora, IL workers' compensation lawyers have witnessed an undeniable link between transportation industry accidents and worker fatality. In the State of Illinois, these accidents account for 4% of the total number reported in the state, but 31% of workplace-related deaths. Because Aurora is deeply connected to the transportation industry, it is also the location where many of these deadly accidents occur. Manufacturing and warehousing also present unique risks to workers, and many suffer debilitating injuries that impact their ability to resume their job duties. The Burlington Northern, Santa Fe and Elgin, Joliet & Eastern Railroads all continue to run through Aurora. Railroad accidents are some of the most brutal and devastating injuries to strike workers, and those who survive are often left permanently disabled. Workers who are severely injured and the families of those killed in workplace accidents are entitled to recover compensation, even if their employers were not at fault for their injuries. It is important to understand your rights when you are filing a workers’ compensation claim and 86% of injured workers elect to be represented by Aurora work injury lawyers in order to ensure that they are not taken advantage of by their employers or insurance companies. What you are entitled to following any workplace injury includes the following. The full value of your past and future medical treatment. Many workers are fooled into believing that they must be treated only by doctors and at facilities approved by their employers, but this is not true. You have the right to seek out the best available care and to choose which doctors will provide your care. Two-thirds of your wages throughout the duration of your leave. When you are sidelined from work during your rehabilitation, you have the right to receive 67% of your current salary or average paycheck. Additional compensation to cover the long-term cost of a permanent disability. The Illinois Workers’ Compensation Commission also has a fund to cover cost of living increases over time so that your benefits are not eroded by inflation over time. The ability to file a lawsuit against a negligent employer or third party in the event that an injury was the not your fault. If your employer has the appropriate insurance in place to cover the cost of your claim, it is highly likely that the insurance company will make attempts to limit its financial responsibility and if your employer is in violation of laws requiring it to make the proper provisions for its injured workers, you have the grounds needed to file a lawsuit. Many injured workers are unaware of their rights and allow their employers or insurance companies to push them around. Your payments may be delayed or you may be told that you are not entitled to the benefits that you deserve. Our workers' compensation lawyers in Aurora have extensive experience working through the many challenges that you may encounter during your claim. For example, most workers are unaware that when an employer or insurance company delays payment or underpays an injured employee, they may be required to provide additional compensation to the worker as a punitive measure. We can use our knowledge of all applicable employment laws to ensure that you receive every last penny that the law requires your employer to provide. If they attempt to defraud you in any way, we have the legal knowledge and experience to take your case to court and earn a settlement in your favor. Contact us today to arrange a free consultation with one of our award-winning Aurora workers' comp attorneys and we will get to work immediately recovering all of the information needed to build your case and ensure you receive the maximum claim allowed. We pledge only to receive a fee for our services once we have succeeded in recovering the compensation you are owed and you will never be required to pay for our services unless we do.